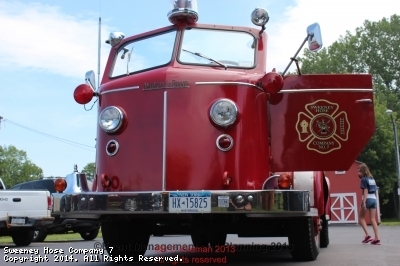 Sweeney Hose Company is one of six independent volunteer fire companies in the City of North Tonawanda NY. North Tonawanda has what is referred to as a combined department. There is the career department consisting of paid drivers and officers and the volunteer division of which Sweeney is one of the six companies. All of our active firefighters have completed the same training as the career department and in some cases have taken additional training to enhance their skills. Active members drill once a month in addition to responding to alarms of fire, special calls, and other emergencies. 24 hours each day, 7 days a week, 365 days a year. This site has been viewed 33,221 times.